Humans vs robots: Who has the edge? The future of retail: Robots to replace people? THE fourth industrial revolution has the potential to disrupt every industry in every country through large-scale automation, adoption of emergent technologies, big data and artificial intelligence. There are many predictions and estimates on how this will affect labour markets, but one thing is certain – the jobs we do, and the skills we need to perform them, will change - and rapidly. A McKinsey report estimated that by 2030 at least one-third of the activities of 60% of occupations could be automated. This means that globally up to 375 million people may need to change jobs or learn new skills. A World Economic Forum report predicted that current trends in a disruptive labour market could lead to a loss of 7.1 million jobs, two thirds of which are in administrative roles. And a study by Oxford University estimated that 47% of total employment in the United States is at risk due to computerisation, given that automation and computerisation are no longer confined to routine manufacturing tasks. Big data and artificial intelligence are allowing a wide range of non-routine cognitive tasks to be performed by machines. While this may sound catastrophic, the good news is that while large-scale automation may redefine the workplace it does not necessarily mean we will all be out of a job. Changes in technology also create new jobs and spawn new industries. The challenge is going to be ensuring that workers have the skills they need to transition to different jobs. The fourth industrial revolution poses a risk to job security only in the sense that not managing this transition can lead to greater unemployment and social inequality. In approaching what lies ahead, managers and leaders should consider the following three truths. Klaus Schwab, chairperson of the World Economic Forum, believes that “in the future, talent, more than capital, will represent the critical factor of production”. To make sure they are ready for a future that is still emerging, organisations and people need to be adaptable, innovative and responsive. If up to 65% of the jobs of tomorrow don’t exist yet, it is impossible to “train” people in the conventional sense. Rather, we need to invest in their essential capabilities. To ensure we build talent that is capable of mastering change we need to invest in resilient leadership. Leadership skills are not tied to particular jobs or industries, and solid leadership development provides the kind of transferable skills likely to be needed in the future. The WEF identified the top ten skills that will be most needed in 2020 as: complex problem solving; critical thinking; creativity; people management; coordinating with others; emotional intelligence; judgement and decision-making; service orientation; negotiation and cognitive flexibility. These essential skills have long been part of most good leadership development, MBA and executive education programmes – and they will need to be scaled up. The WEF report recommends that organisations embrace talent diversity, leverage flexible working arrangements and incentivise lifelong learning to best manage the changes ahead. Lifelong learning and executive education certainly have an important role to play in a rapidly changing job market, and these programmes also need to be flexible and adaptable to students' and organisations' needs. Massive open online courses (MOOCs) already offer flexible access to lifelong learning and the number of courses available is rapidly increasing to meet demand. Many perceive the downside of online learning to be the loss of face-to-face interaction, which is still regarded as critical to the quality of education – specifically when it comes to learning and practising the essential skills identified by the WEF. Educational institutions are looking to fix this by offering a mix of traditional and online learning to reskill and prepare for workplace transition. There are opportunities for combinations and blends of one-on-one and group interactions at all levels of learning. The format of what is being taught needs to be flexible, but so does the content. As the WEF report suggests, education systems need to be redesigned if we are going to tackle the transitions ahead. This entails businesses, governments and educational institutions working together to provide curricula that meet current and future needs. The McKinsey report suggests governments have a role to play in maintaining economic growth, scaling job retraining and workforce skills development, and providing income and transition support to workers while retraining. But they cannot do this on their own. Educators supply industry with critical skills, and industry has a hand in shaping the talent pool and informing educational institutions of the changes they foresee and the skills they wish to develop. Businesses that invest in long-term partnerships with educational institutions to develop skills and respond to changes in the environment will stand a better chance of building a workforce that is future proof: suitably skilled, adaptable and ready for the challenges that we collectively face. As the African proverb goes: If we want to go far, we need to go together. 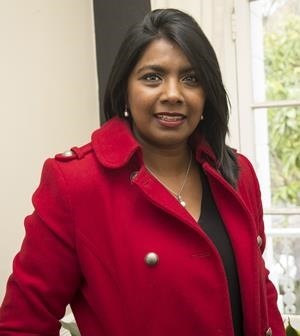 Kumeshnee West is director of executive education at the UCT Graduate School of Business.